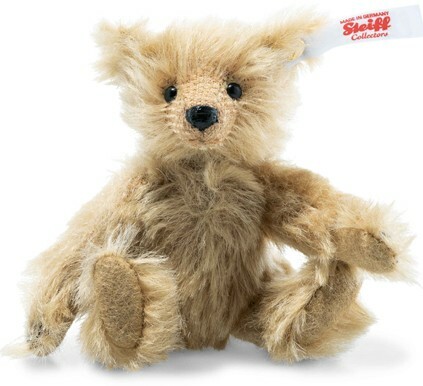 The Mini Teddy Bear 1903 is based on the very first teddy bears made by Steiff, but in miniature form. It has long, shaggy cinnamon mohair, with matching paw pads and each paw has five hand-stitched claws, just like in the early years. The black hand-stitched nose has been lacquered, to replicate the look of the early bears, who generally had noses made of sealing wax. So, if you want a cute, miniature teddy bear that is reminiscent of the first Steiff bears, then this is the bear for you.